Following are delicious fresh endive recipes. This endive recipe is a wonderful, light appetizer. Combine the first 7 ingredients together and mix well. Trim the ends of the endive and separate heads into spears. Now spread the cheese mixture on the spears. Serve immediately or chill up to two hours before eating. Garnish with basil sprigs. With a small knife, cut a thin slice in the bottom of the endive and remove the bitter core. Cut the large heads in half and don't forget to remove the core. 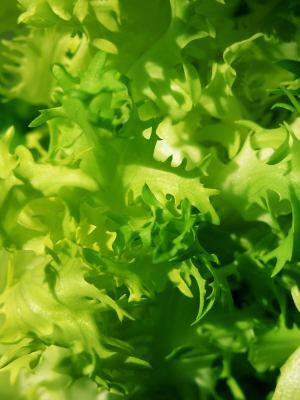 In a large pot of salted water, cook the endive and lemon juice for 25-30 minutes. Drain. When the endive is cooling, preheat the oven to 350 degrees and grease a baking dish. When the leaves are cooled, wrap each endive with a slice of ham and place in the prepared dish. Add the nutmeg to taste and sprinkle with the grated cheddar. Add some flecks of butter on top and bake for 30-40 minutes. "Yum" is what you will hear when your family tastes this endive recipe. Mince the endives and reserve a few small leaves for garnish. In a large pot, saute the garlic, onion and endives in the butter for 3-4 minutes. Next add the potatoes and chicken broth and simmer for 15 minutes or until the potatoes are fork tender. Using a hand blender, puree the soup and return back to the pot. Add the cream and season with salt and pepper. You can serve this soup hot or cold. Garnish with the small endive leaves, chopped chives and fresh dill sprigs. Craving a salad? This endive recipe is delicious and crunchy. Mix the apple cubes, endive and almonds in a bowl. Whisk the dressing together and pour over the salad. Toss to evenly coat and serve. Whip the cream cheese with the next 5 ingredients. Separate the endive into leaves and spread the cream cheese mixture on the base of the endive. Now top with the smoked salmon. Arrange on a serving platter and garnish with fresh dill sprigs. In a large bowl, whisk the sour cream, buttermilk, sugar and vinegar together. Season with salt and pepper to taste. Next add the apples, grapes and nuts -- toss to coat evenly and serve. Combine the olives, tomatoes, garlic, basil and feta cheese in a bowl. Mix the olive oil and vinegar together and pour over salad ingredients. Toss lightly to coat evenly and season to taste with kosher salt and ground pepper. Arrange endive leaves on a serving platter and stuff each one with approximately a teaspoon of the salad ingredients. Serve. This endive recipe combines a wonderful sweet and savory taste this is addicting. PREHEAT the oven to 350 degrees and spray a sheet pan with vegetable spray. Toss the pecans with 2 tablespoons of the honey and bake for 10 minutes or until the honey turns shiny; stir once while baking. In a saucepan, pour in the port wine and the remaining 3 tablespoons of honey. Simmer over low heat until reduced by half and is thick and syrupy (around 5-7 minutes). Arrange the endive leaves on a serving platter and sprinkle with cheese on the base of the leaf. Then layer with 1/4 inch of a fresh fig and top it off with a glazed pecan. Drizzle with the port wine reduction.